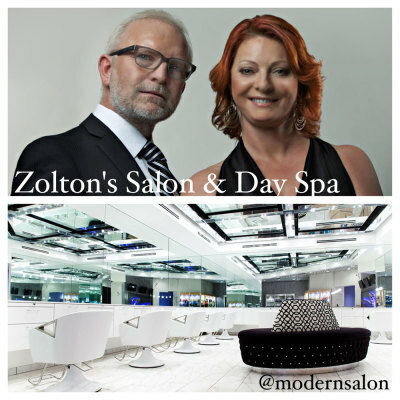 Owned and operated by Robert & Margaret Quinn, Zolton's Salon & Day Spa opened it's doors in January 2002. The full-service salon and spa is a visual melding of modern chic and the 5,000 square foot facility boasts an impressive 40 hair stations, 4 nail stations and two aesthetician treatment rooms. In addition, the extensive retail area showcases a number of prestigious professional product lines including: ORIBE, PHYTO, PAI-SHAU, PUREOLOGY, DAVINES, IGK, and AQUAGE. Zolton’s is proud to have partnered with the most talented and creative professionals in the beauty industry to offer you a truly unique experience each time you walk in the door. With more than 40 stylists, 5 nail technicians and 1 aesthetician, you are sure to find your perfect match at Zolton’s. Zolton’s is constantly seeking the best and the brightest new talent to add to our growing team. If you are interested in working in an exciting and dynamic environment, check out our Careers page for more information. "One of the nicest salons I have ever been to. I now understand why they won the 2014 Salon Design Award. The staff is very personable and the owner Robert always goes the extra mile to make sure you are treated like a king. I could go on and on about this salon!" "This salon has never failed to impress me with their professionalism and quality work. My Stylist has delivered me from hair hell and continues to offer guidance along with quality work. Everyone here is always friendly and the salon is very clean."